Are Your Bronze Age Comics Worthless? Last week there was a story on comicsbeat.com entitled Why your Bronze Age comics collection ain't worth squat! It’s a typical collection that you see floating around now. Classic Bronze Age. A run of Marvel Two-In-One. 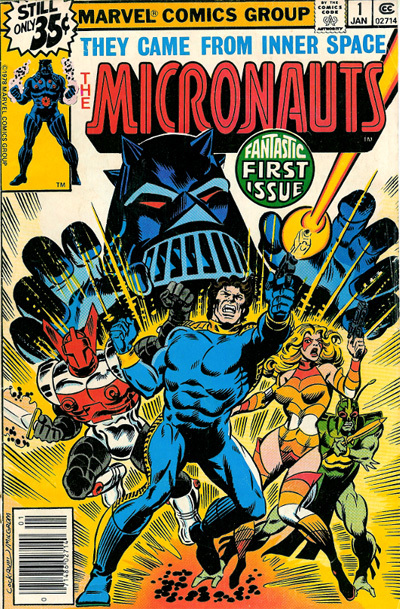 A run of Micronauts. 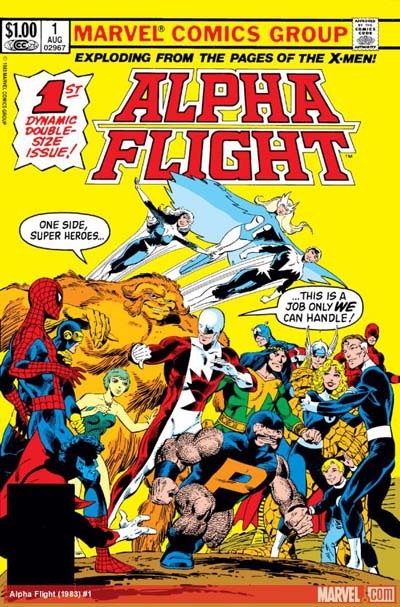 A run of Alpha Flight. A run of Camelot 3000. Badger. Nexus. Web of Spider-Man. A good selection of valuable X-Men. A good selection of worthless Cloak and Dagger. But nothing interesting like Elektra: Assassin or Slash Maraud. You know the drill. “How old is Tommy?” I asked. 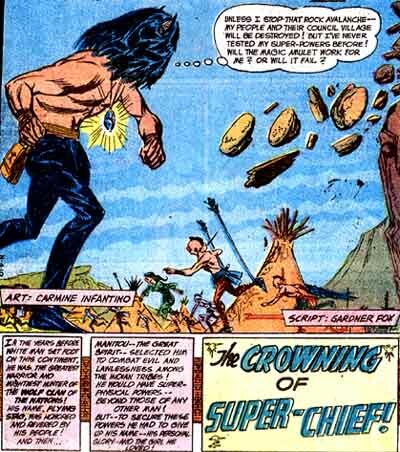 Note: As fellow fan of the Bronze Age Trey Causey pointed out, a lot of the comics he mentions aren't really Bronze Age at all, but the question remains. As one might imagine, the comments section quickly filled with other Bronze Age fans sharing stories to confirm the notion. I thought I would share my experiences in this area over the years as from time to time, I've dabbled in flipping old comics and runs. I think part of the problem is that people can now pick up old comics so easily in all sorts of Collected Editions. The other problem is as people transistion to reading their comics digitally, it is becoming much harder for them to justify buying old paper issues (especially if a large portion of their house is already devoted to a storing their collection.) In some cases, when inspired to read older stories, the newly converted digital fans are looking for them not in musty long boxes but on torrent sites instead. Even with all those odds against them, a casual search of ebay will reveal that quite a number of ebay auctions where Bronze Age comics still sell at respectable prices. So, in answer to the question posed by today's post title, I would say while calling Bronze Age comics worthless is quite an exaggeration, they have definitely lost some value among some potential buyers. Shoot a picture of your item on either a clean background (like a white sheet) or on bubble wrap. It sounds silly, but a picture on bubble wrap sends a buyer the subliminal message that the item is ready to ship and will get to them very quickly. If you are selling a complete run of comics, scan and show buyers each and every cover. This is good for two reasons. One, the cover art will help entice them into making the decision to buy the issues and two, it will help you field complaints if one of the covers is not in perfect condition. Always offer free shipping. If that sounds extreme, remember than media mail usually only runs about $5.00. If you aren't making enough profit in your auction to cover that cost, you need to up the number of comics you are selling in the auction. Try to capitalize on any current trends in current comics. Like for instance, right now, with of an Inhumans movie and their prominent appearances in Marvel Infinity, this would be a great time to try and move a complete run of some older runs of the Inhumans. Those are my tips. If you have other suggestions, please feel free to suggest them in the comments section below. Today, I'm reaching out to readers of this blog concerning a question about one of the four non-DC superheroes Hanna Barbera created for the The All New Super Friends Hour in in 1977. Here's my theory - I think HB want to to give the show a more multicultural feel and here's how I think it went down. 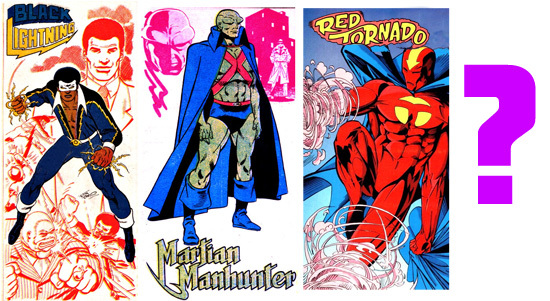 HB asked DC if they had any superheroes who weren't white Anglo Saxons, whereupon DC replied with Black Lightning, Red Tornado, Martian Manhunter and someone else. And while those characters are indeed non-white guys, Hanna Barbera wasn't satisfied with that selection, so someone inhouse was given the task of creating new superheroes for the show. The best candidates were creative producers Ken Spears and Joe Ruby though Jeffrey Scott, writer of the show at the time was unable to confirm this as of 2011. We do know Alex Toth designed the look and feel of the characters. The Black Lightning/Black Vulcan connection is a pretty much a given as we DO know that Black Lightning was in the original discussion, but was tabled due to a dispute between DC and Black Lightning creator Tony Isabella. My theory that Martian Manhunter and Red Tornado were the inspirations for Samurai and El Dorado is pretty much based on the similarities in powers. 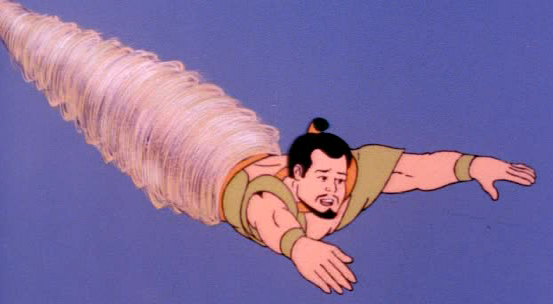 Samurai was a human tornado like Red Tornado. 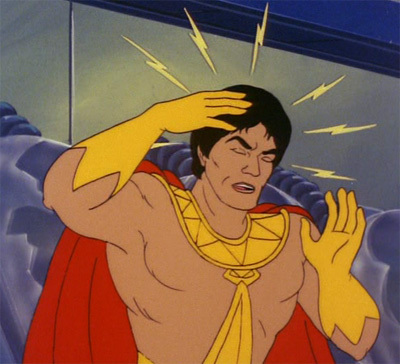 El Dorado (whose powers were ambiguous and never really defined in the show) was shown several times using powers shared by the Martian Manhunter (superhuman strength, telepathy.) And where the Martian Manhunter uses phasing, El Dorado similarily uses teleportation. 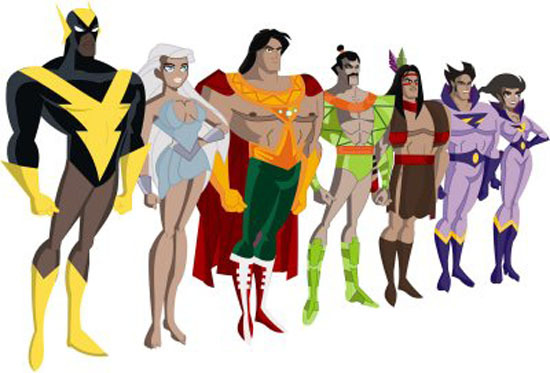 Even El Dorado's costume, with its open torso design is similar to Martian Manhunter's costume. My question today is: Who was the inspiration for Apache Chief? My best guess is that AC was some sort of amalgamation of both characters. 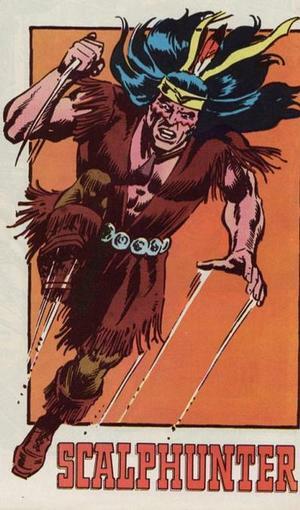 His name uses the Chief title but his costume design is closer to Scalphunter's. Oddly, the back and forth on more multicultural heroes may have paved the way for another Native American character in the DC Universe: Dawnstar. Her first appearance was in April 1977. 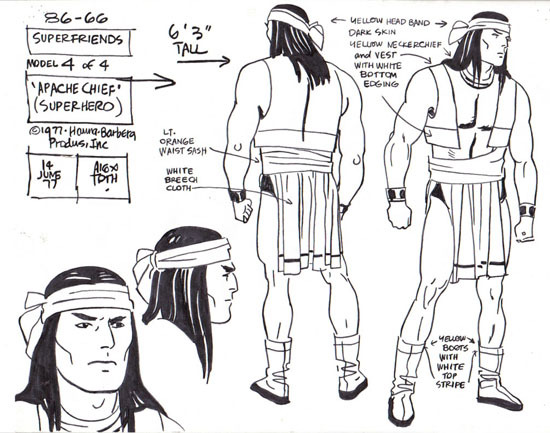 Given that the prior year, talk of Hanna Barbera wanting more multicultural heroes may have been buzzing around the office, it is possible that Paul Levitz and Mike Grell were encouraged (either creatively or editorially) to create a new Native American character. 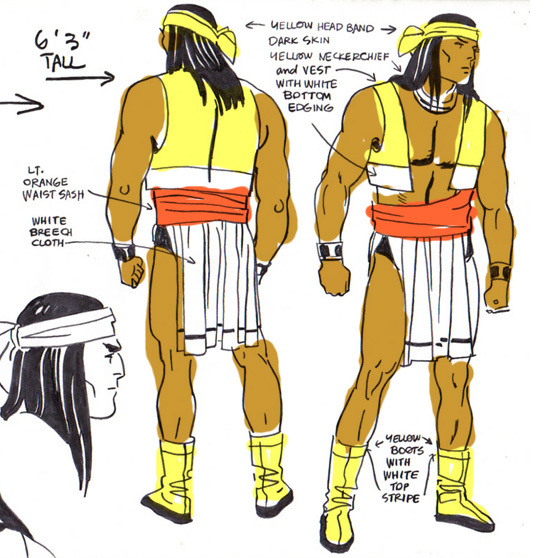 I also find it interesting that her yellow and white character design so closely resembles the original proposed yellow and white Apache Chief color scheme. If anyone out there has anymore details about the origins of these characters, I would love to hear from you. Pretentious females who have labeled themselves as a “geek girl” figured out that guys will pay a lot of attention to them if they proclaim they are reading comics or playing video games. Celebrities are dressing up as geeks to reach a larger audience. Richard Branson labeled himself a geek for crying out loud. My take is this: I'm inclined to think that people who fear the supposed onslaught of Fake Geek Girl hordes are at best worried about the devaluation of whatever Geek Cred they have and at worst misogynists. I've seen both Fan Boys and Comic Professionals make statements that suggest they think Fake Geek Girls are detrimental to their hobby in some way. I think its telling that the same people who are so down on Fake Geek Girls don't seem to have a problem with Booth Babes. Next time a thread about a con wanting to ban Booth Babes pops up, watch how many people will cry in outrage. That to me reveals their personal agenda: Girls in outfits are okay if they are there to entertain me - not get in front of me in the queue for the next Firefly panel. 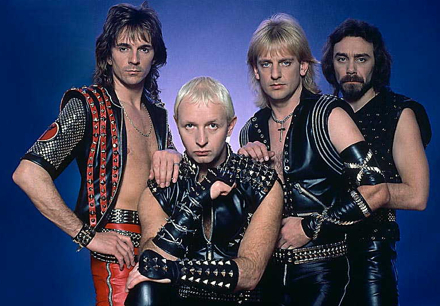 In the early 80's the classic image people would give me was guys who weren't in a band, but would dress up like Judas Priest and just show up at rock clubs to look cool. 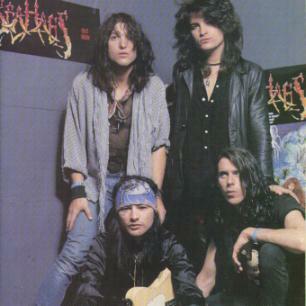 As the years went by, the definition of Poser changed such that it was now guys who looked like Poison or Guns and Roses but might actually be in a band. The defining difference being that the Poser band was seen as jumping on a musical bandwagon and weren't playing "Real Metal." So, what's struggling band supposed to do? Well, try to play Real Metal of course. The only thing is - no one could agree what that meant. 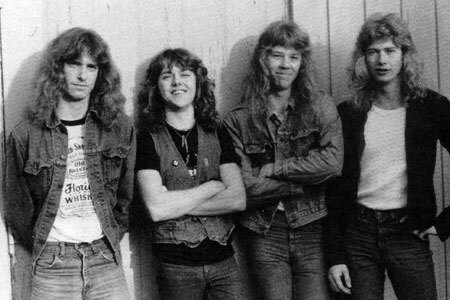 Was it Thrash/Power Metal like Metallica? Nope. Not if you were a Slayer Fan. And Slayer Fans were called posers by Celtic Frost fans. And Doom Metal fans thought that Death Metal fans were all posers. The Anti-Poser mindset was like an Onion. As you drilled down through the layers metal of you would always encounter metal-intelligensia who viewed fans who had not heard of the latest undergound band or long lost 60's pioneers in the genre as inferior. Currently, I'm seeing a return to this More Metal Than You attitude as fans of the New Wave of Thrash bands like Evile and Warbringer run up against fans of bands like Black Veiled Brides and Avenged Sevenfold. This sort of thing is ultimately unhealthy for the scene as is encourages exclusionary divisions which make people uncomfortable. I think that's the danger of the whole Fake Geek Girl mindset. I don't really think there is a vast, far reaching conspiracy of Fake Geek Girls vying for the ever so valuable and long lasting attention of fan boys everywhere. It's just an idea that makes some insecure fans feel superior to people they view as a threat in some way. As far as I'm concerned, no one gets to set the rules on what a real fan is. The guy who can name every single X-men and the guy who only reads black and white independent comics don't get to tell the fan who just started comics with Marvel Now or the Avengers movie that they are a fake geek. Trying to exclude people from the hobby because they don't meet your standards as a fan is a real jerk move. 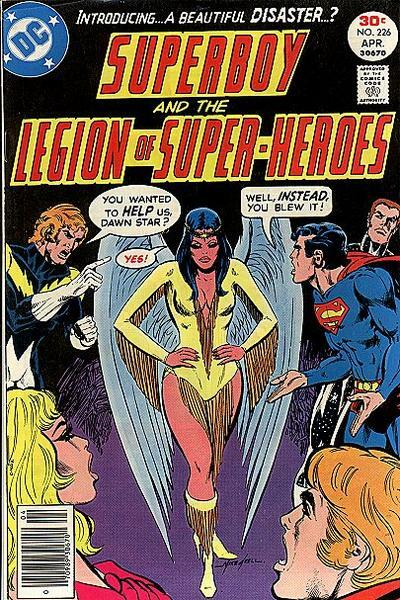 Of late, I've been reading (for the first time) the classic Keith Giffen run of L.E.G.I.O.N. I'm up to issue 18 and I've been impressed with how solid the run is for so long. 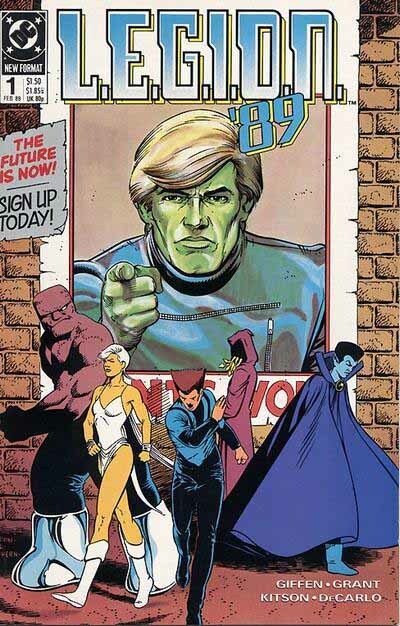 Most of the series tends to run in the sci-fi lite realm that most comic series tred in, but what makes it interesting is seeing Giffen play with the Legion of Superheroes mythos (the Emerald Eye, Durlans and the Champion of Talok VIII) in a way that he may have not been able to in the regular LoSH series. 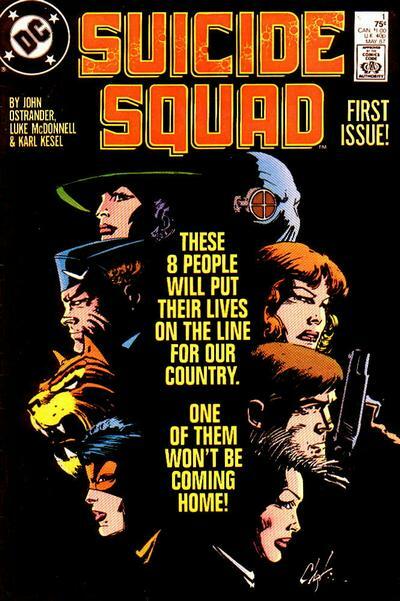 The premise of villains working as covert government operatives is well trod territory now, but at the time this comic came it was a fresh and exciting idea that Ostrander ran with. While the first arc is a bit rough IIRC, Ostrander gets a better handle on the characters as the series continues - especially Bloodshot, Bronze Tiger and Captain Boomerang as the run plays out. In addition to the fun character work, I enjoyed watching the rogues go from one disasterous mission to another, losing members and gaining replacements every couple of issues. Synopsis: In a future where Earth is at war with a vicious alien race, drastic measures are taken in the form of the Morituri process. Volunteers agree to be endowed with superhuman abilities to fight the aliens with the understanding that the powers will cause early death. Like Suicide Squad, this series benefits from being able to so handily dispatch and gain characters at a moment's notice. This gives the comic a bit of a frenetic pace storywise which modern readers might find disconcerting, but once you get used to it, it's a fun read. 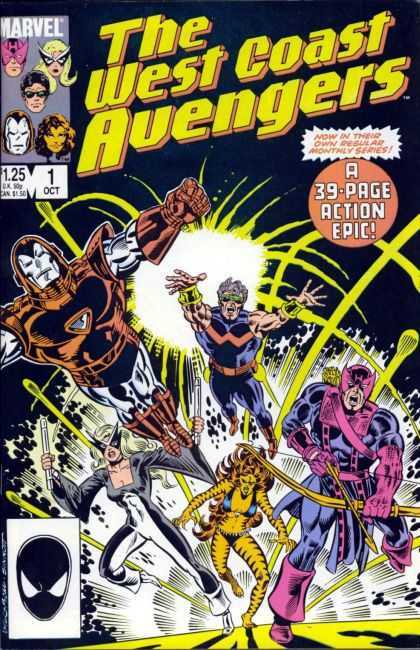 Back before slapping the word Avengers on every other Marvel comic was a bottom line driven corporate mandate, Roger Stern and Bob Hall developed this interesting title featuring Iron Man (and Hank Pym) leading a group of heroes in California. What the series got right was the involved character subplots that ran issue after issue. Where it was a bit off is with some of the villains (Master Pandemonium for example) who were a bit too D-List at times. Like most of the series on this list, I either dropped off them at the time or never read them during their heyday because of the economic pressures of college. I think I stopped on this series after the first year or so, but recently a commenter on this blog (Cash Gorman?) suggested I read the John Byrne issues, so that's next on my list after L.E.G.I.O.N. In discussing this series with FBU friend Trey Causey, we both agree that the first 12 issues of AF is among the best first year examples of a comic series around. In my mind, the first year is so good that I tend to forget that Byrne continued on it as writer until issue 28 and then Bill Mantlo (another great Marvel workhorse at the time) continued the series until it was eventually cancelled with 120. One of the things that makes this series so good in my mind is the number of interesting plot twist Byrne brought to the table in the first year. Also, at his creative peak, Byrne was a whirlwind of interesting ideas and with characters like Puck, Snowbird and Marrina, you can see Byrne getting to utilize a lot of the concepts he had built up over the years that might not have fit in as well in the X-men or Fantastic Four. Here is another title where the first 12 issues are just amazing. Obviously inspired by the Star Wars zeitgeist of the time, this series manages to rise above other SW imitators with the help of Mantlo's fleshed out alien worlds and Michael Golden's brilliant visuals. The first year of the series is compelling story of the battle of rebel Micronauts against the Vaderesque Baron Karza. After the battle is resolved, the series tends to drift a bit. 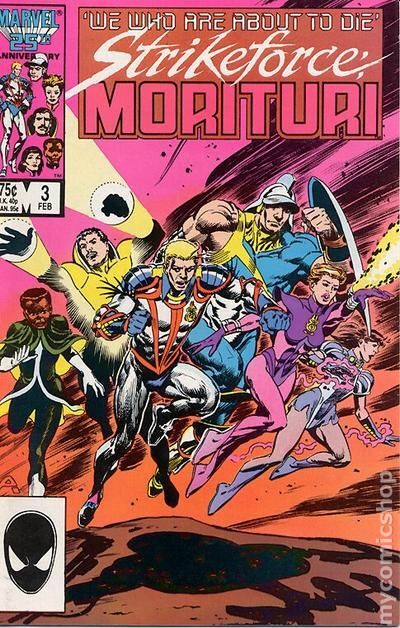 It's always been my opinion that Mantlo (who saw the Micronaut toys at a convention and convinced then EIC Jim Shooter to liscense the brand for a series) viewed the series as a possible movie franchise and scripted out the first arc as the basis of a movie, whch might explain why the series lost its way a bit after the first year. Those are my Five. What would you add?